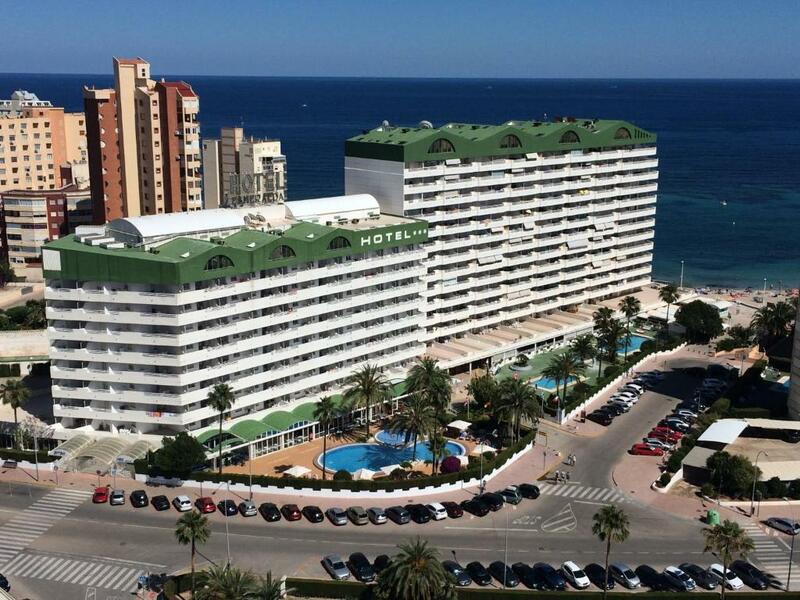 Lock in a great price for AR Roca Esmeralda & Spa Hotel – rated 8.1 by recent guests! Good check in, very pleasant receptionist. Prompt response when requesting additional pillows. Receptionist in the Spa again very pleasant and informative. We enjoyed the Spa and the indoor swimming pool was adequate. Spacious room clean and comfortable bed. The hotel made a real effort with the catering over the Xmas period. The full board was really good Value. Many different choices for all meals. Great location. The rooms are spacious and light with wide balconies, there is a large quiet lounge on the first floor with lots of natural light for reading. The location is great and even on a bad weather day I could walk under cover to a beachside cafe. The staff are extremely helpful, nothing was too much trouble and Rebekah in the spa gave one of the best massages I have ever had. Definitely a hotel I will return to. 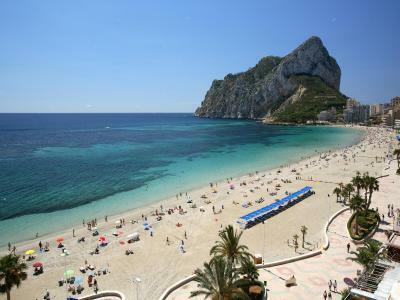 Location, close to beach, shops, Les Salinas, restaurants and bars. 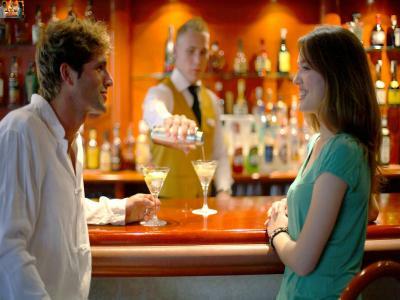 Nice staff, good food in the restaurant, pools, fine entry, easy to locate the hotel. Nice room, good bed, great balcony. 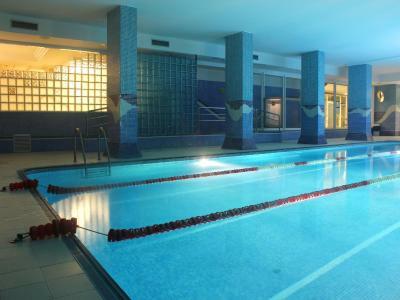 Indoor pool, spa and gym also available at the hotel. Spanish atmosphere. 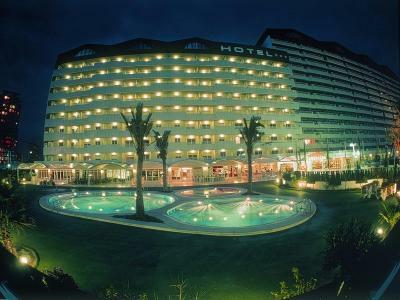 Loved staying here! Friendly staff. Great pools and food. Just brilliant. 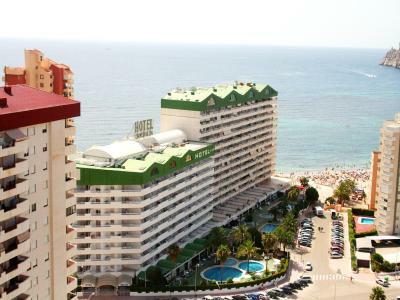 Excellent location very close to beach and promenade. Staff very friendly. Breakfast plenty of variety of food available. 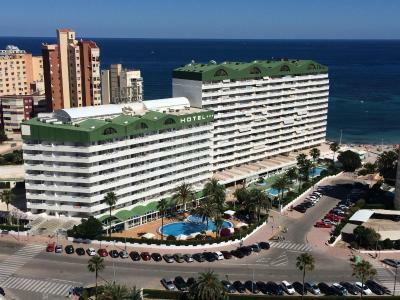 AR Roca Esmeralda & Spa Hotel This rating is a reflection of how the property compares to the industry standard when it comes to price, facilities and services available. It's based on a self-evaluation by the property. Use this rating to help choose your stay! 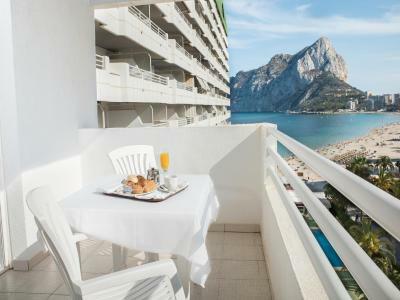 One of our top picks in Calpe.Hotel AR Roca Esmeralda & Spa has an ideal seafront setting in Calpe, near the Penyal d'Ifach Natural Park. 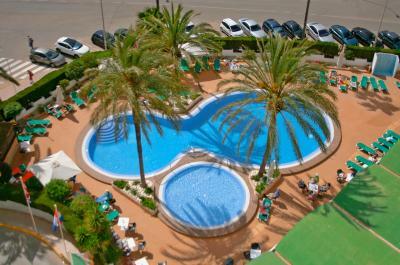 The complex has an outdoor pool and sun terrace. Rooms at the AR Roca Esmeralda are bright and comfortable. They all have a private balcony, many with views of the Mediterranean. 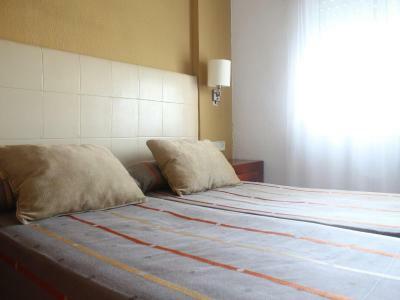 Rooms also have air conditioning and satellite TV. The Roca Esmeralda offers a games room with a pool table. Free WiFi is available all throughout the property. 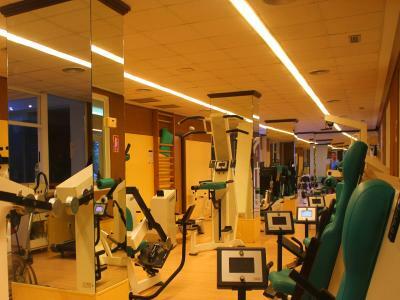 For an extra fee, guests can use the small spa and gym. 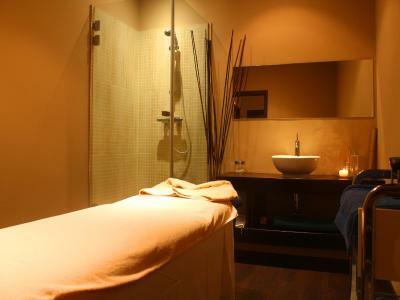 This offers a steam bath, sauna and hot tub. 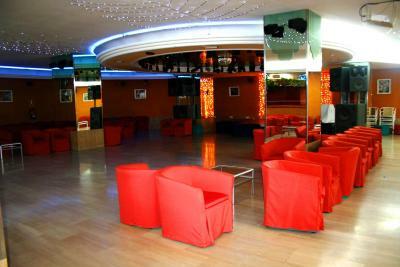 The hotel offers a relaxed café-bar, a buffet restaurant and a grill restaurant. 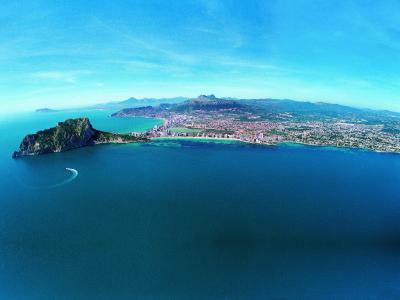 There are also many bars and cafés nearby on the seafront promenade. The entertainment staff organizes activities every weekend, while in July and August daytime activities are offered every day. 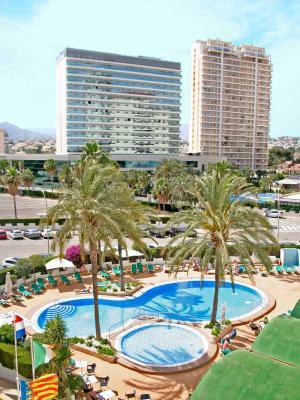 When would you like to stay at AR Roca Esmeralda & Spa Hotel? These bright rooms have a private balcony, many with views of the Mediterranean. 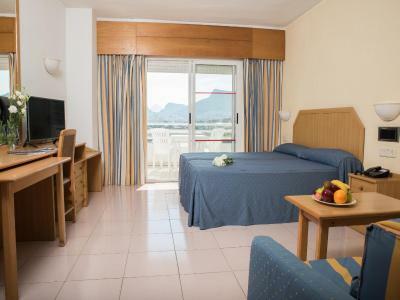 Rooms also have air conditioning and satellite TV. Additional bed is a sofa bed measuring 53 in wide. Children must always share the sofa bed. These bright rooms have a sitting area and a private balcony, many with views of the Mediterranean. 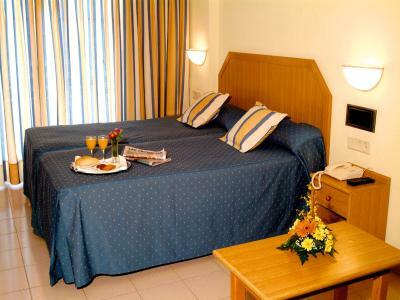 Rooms also have air conditioning and satellite TV. 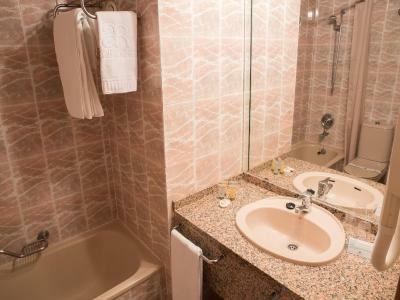 This room also includes a half-board meal plan and 1 spa experience per person, per stay (hot tub, sauna and foot bath). 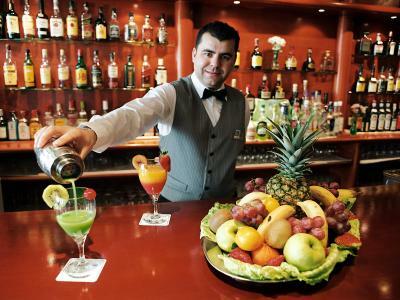 House Rules AR Roca Esmeralda & Spa Hotel takes special requests – add in the next step! AR Roca Esmeralda &amp; Spa Hotel accepts these cards and reserves the right to temporarily hold an amount prior to arrival. AR Roca Esmeralda & Spa Hotel accepts these cards and reserves the right to temporarily hold an amount prior to arrival. We booked half board, however it was not explained to us that wine and water was not included with the evening meal and therefore we were to sit at tables without wine & water onthem. These tables were in an area to one side of the restaurant booking.com could make this clear at the time of booking? While the room was spacious and comfortable , the furniture could do with an update, more modern? The area above the fridge had a shutter which was locked, I assume this room has been used for self catering at some point. Need to be removed if no longer required. 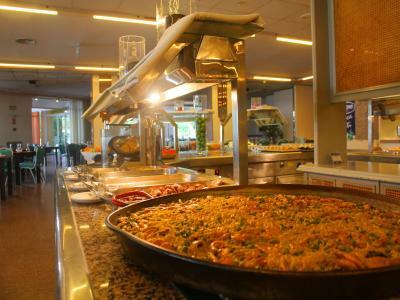 The hotel guests were 95% Spanish therefore the entertainment catered for them. We accepted this with no problem however it would have been nice to have had a little more up tempo and more international music (we are both 70 years old so we are not talking about heavy rock!!!). The dining room is a little canteenish. The bus and tram station are quite far away. Information about bus and tram times. The details on the printout provided was too tiny and blurred to read properly. We were on the 8th floor and only one lift was in service. Hotel was full of seniors so this caused a lot of problems for many of the guests. A bit noisy and dusty because of work being done to elevators, but that will be ok once the work is done. Rooms need an update, but was charming as they were. We should have been told that the lifts were being replaced and were being drilled out during our stay as our rooms were adjacent to them. My mum who is 76 likes to sleep in the afternoon and this was not possible. Also we had to walk up and down three flights of stairs because the lifts were busy. I think the charge for the safe did our rooms could have waivered as a gesture of good Will because of the inconvenience we had to put up with. I had also requested two rooms overlooking the pool area and didn’t get them.